Staying healthy is everyone aims in life. Eating healthy and exercise is a crucial part to stay healthy in your life. And to stay great in exercise you need a great bone, thus milk is in important in your daily diet. With a great health you can move and exercise easily. Anlene, the well-known fortified dairy brand recently launched the new remake of popular hit ‘Sinaran’ in partnership with Sheila Majid as an extension of its ‘Move As Young As You Feel Inside’ campaign. Powered by the new formulation Anlene MoveMax™, which includes added ingredients like collagen in addition to Calcium, Protein and a unique bundle of nutrients to help care for your bones, joints and muscles to support overall movement. 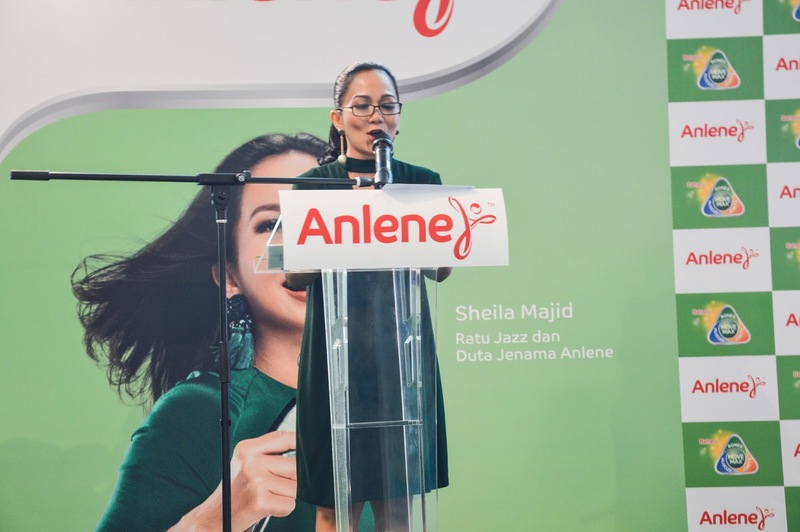 The campaign was taken up a notch with the launch of the more upbeat, funkpop version of Sheila’s hit to celebrate the joys of moving young, regardless of age. The Anlene ‘Move Young’ campaign was launched earlier in the year to encourage people to combine movement with good nutrition to maintain a healthy, active lifestyle. “This year marks my 30 years in performance which makes the relaunch of Sinaran all the more meaningful. Through this campaign I hope to use my influence and inspire more people to stay young at heart as well as physically,to keep moving and live their lives to the fullest,” Sheila said at the launch of her song. 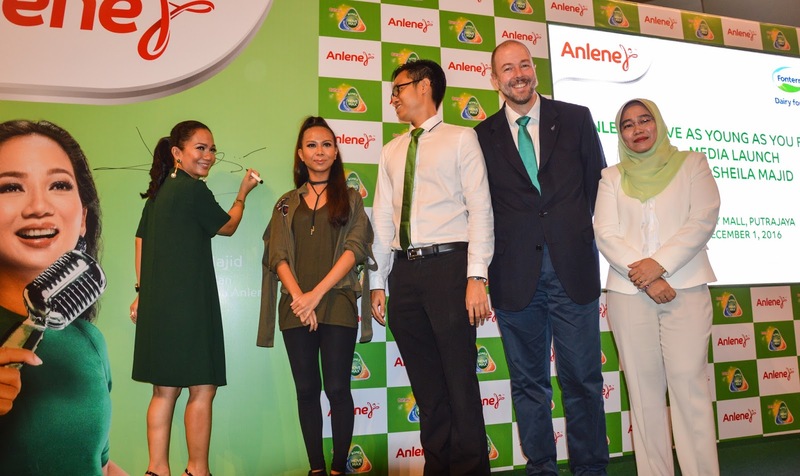 She added that she has made Anlene an important part of her life as it helps to fulfil her nutritional needs for an active lifestyle. As a performer Sheila believes in taking care of herself with a well balanced diet and keeps fit for stamina. She enjoys Anlene as it is delicious, refuels her body and provides her the important nutrients that help cares for her bones, joints & muscles. 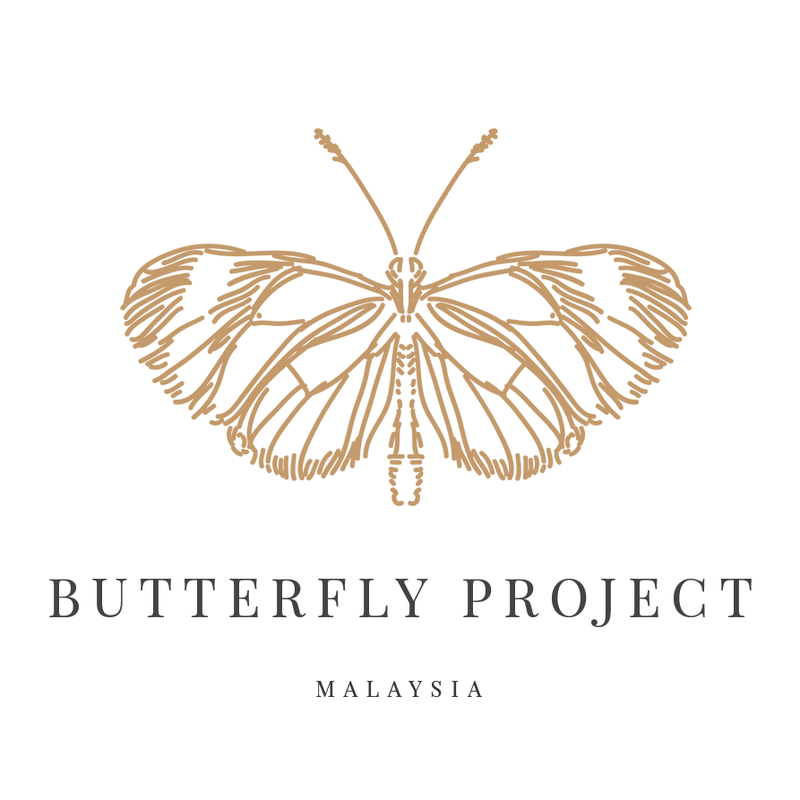 Anlene and Sheila released the song and music video which will be pushed digitally and supported by TVCs and a list of on-ground activities to inspire more people to get into the movement. 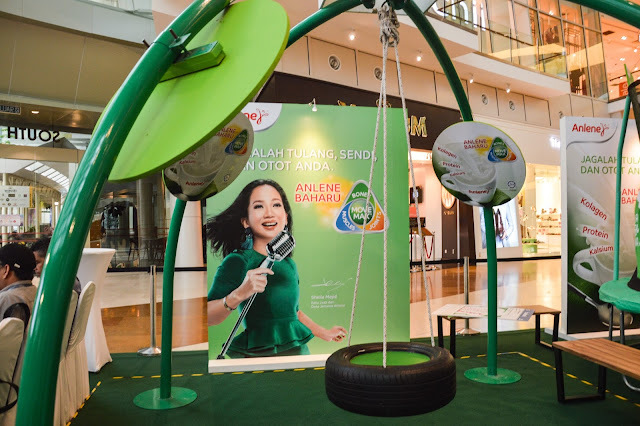 The video and TVCs will harness the power of music to make emotional connections with consumers to overcome inhibitations and embrace their youthfulness. 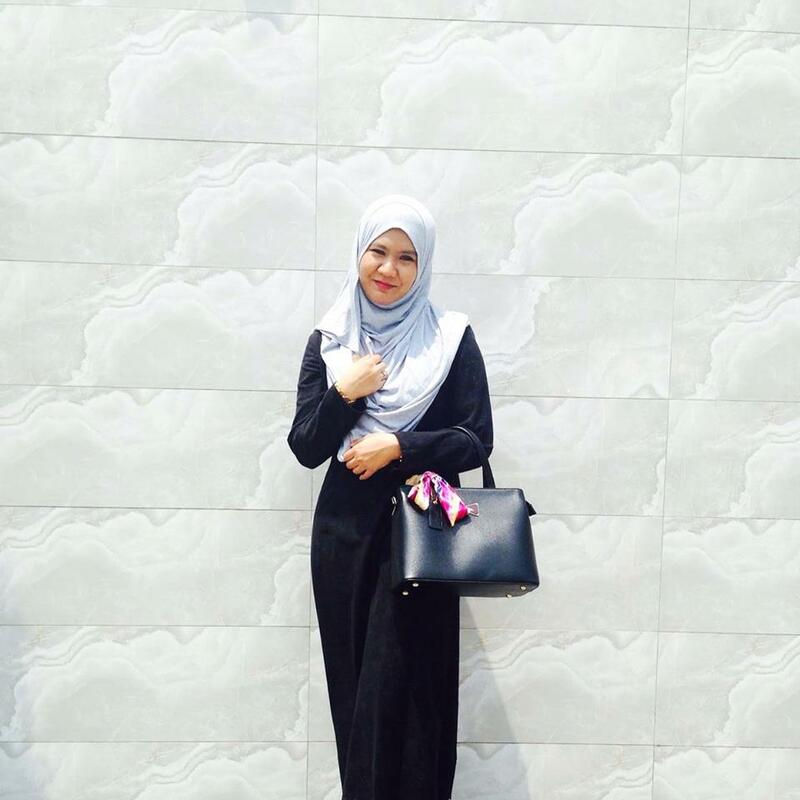 “With the remake of Sinaran we hope to excite and inspire more Malaysians to embrace their youthfulness with movement. 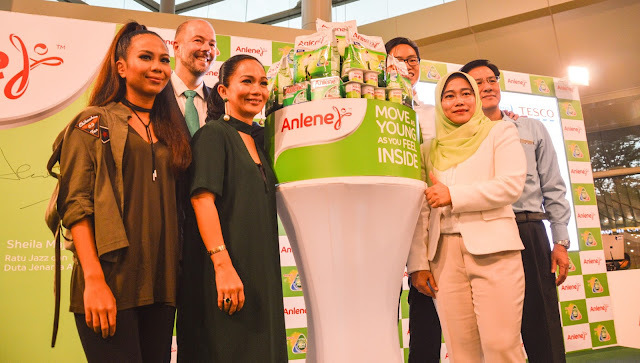 Sheila is an inspiration to many as she lives an active lifestyle and believes in taking care of herself and her family with the right nutrition such as Anlene,” said Mr. Jose Miguel Porraz Lando, Managing Director of Fonterra Brands Malaysia, the dairy company that produces Anlene. During the music video launch in ioi Mall Putrajaya, there is a lot of activities that can be done by the public including the move check. I was grateful, I only have a very low risk(1.0) for my bone. So now you know how much I love milk right? and it does benefits me well. 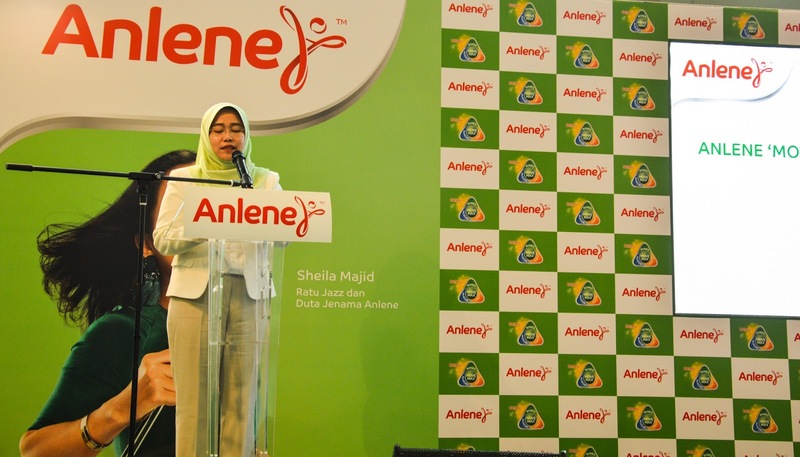 Others activities to do and may bring you home Anlene Milk! Also you can try the new formula Anlene milk, its so delicious! According to Pn Megawati Suzari, Director of New Product Development,Science and Regulatory Affairs, movement is as critical to maintain our overall health & quality of life and to maintain good movement, we need to have proper exercise with the right nutrition. 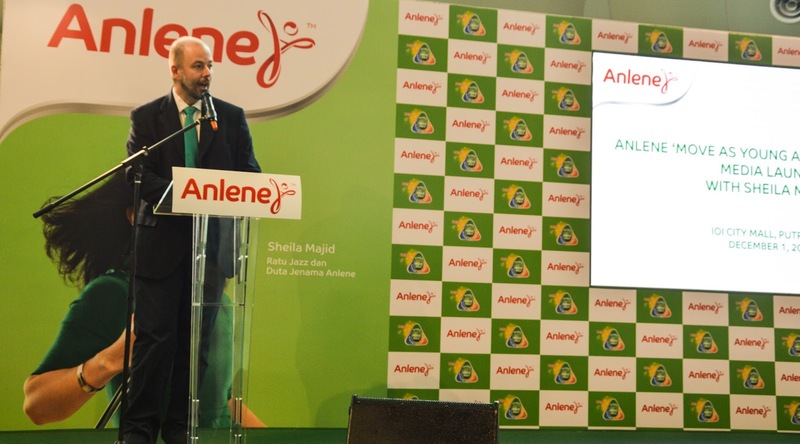 The new Anlene formulation with MoveMax™ contains a unique bundle of nutrients including the newly added collagen and other nutrients such as calcium, protein, magnesium, zinc and vitamins B6, B12, C, D & E that work together to help care for your bones, joints and muscles. It was created to support overall movement. 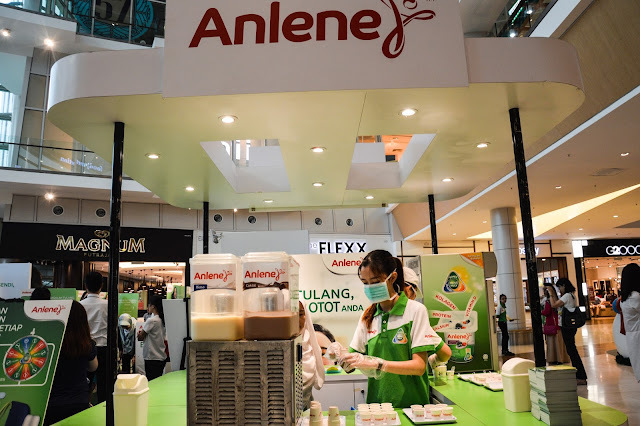 Anlene products can be found in all leading supermarkets, nationwide. From powdered milk, to yoghurt, consumers can easily purchase and enjoy the new Anlene with MoveMax™, which comes in two variants. The powdered form comes in plain and chocolate and is available in 1kg, 600g, and 175gpacks. Anlene Movemax™ Yoghurt is available in 4 delicious variants: plain,mango, strawberry, and mixed berries. I love the yoghurt so much, smooth, not too sweet and it has fruit in the inside. Nyum! Don't Forget to Drink Milk and Move Along! Fonterra is the world’s largest exporter of dairy products, and the leading provider of the widest range of adult and maternal dairy products, yoghurt and ingredients tailored to meet the needs of consumers and professional food service operators in over 140 countries around the world. 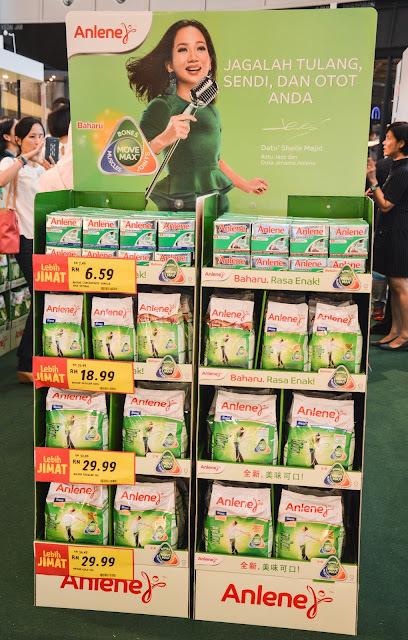 Anmum Essential, Anmum Lacta, Fernleaf, Solivite, Calciyum, Anlene, Fernleaf and Chesdale. 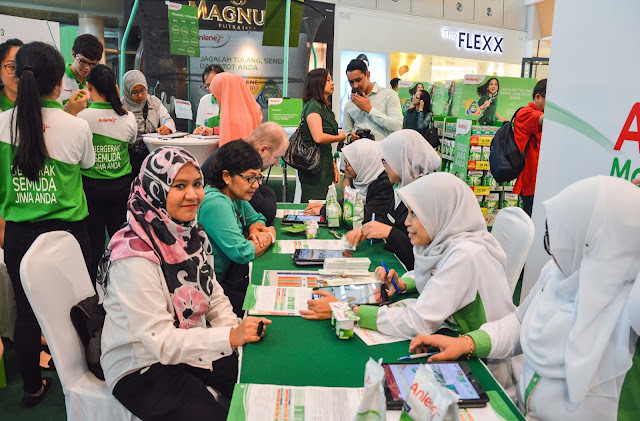 All of our consumer dairy products here in Malaysia are Halal certified by both the Department of Islamic Development Malaysia (JAKIM) and New Zealand Islamic Development Trust (NZIDT). 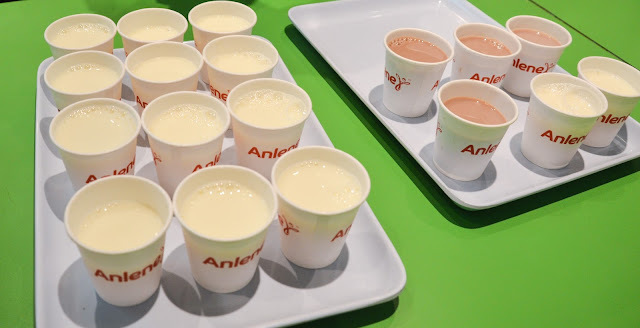 parents aina dlu minum anlene tapi lepastu tukar susu omega. xthu la kenapa dah xguna anele.